The unit mounts onto any standard lightstand with a 5/8" or smaller mounting stud. It has a circular flash tube that is daylight balanced at 5600 deg. K, a guide number of 36 at ISO 100 and a recycling time of 5-7 seconds. It also comes with a 75 watt removable modeling lamp. 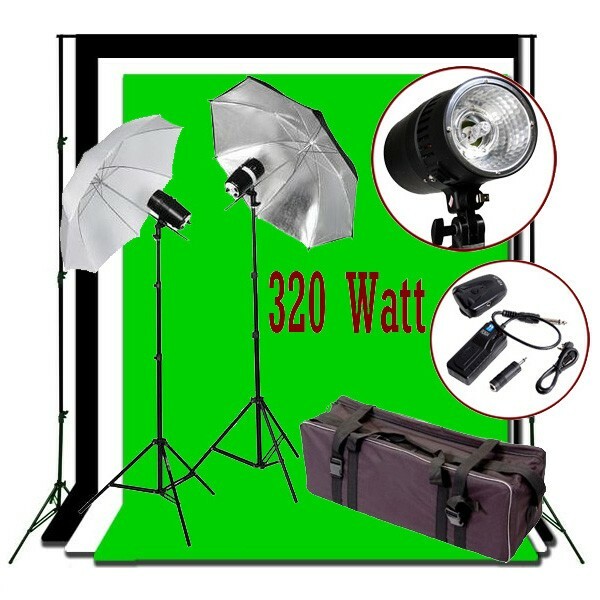 The Budget Studio monolight Flash can be triggered through the camera with its included 15' sync cord, by another flash being fired and activating the built-in Photo-Slave, or through its open-flash test button. It's a compact 7.0" long with a diameter of 3-3/4" and weighs only 15 ounces. This trigger is designed for photographic studio and on-location work to trigger various flash lights and strobes. The standard pack is composed of a one channel trigger and one self-locking radio receiver. The transmitter is to be attached on the hot shoe of the camera while the receiver is to be plugged into the studio flash. Each receiver works with one studio flash. Height Adjustable: Min 3.5 ft. - Max 8.5 ft.